My lack of love for vegetables are well documented in my blog. You know when I approve of a vegetable related dish or a restaurant - it is truly special because despite my aversion for vegetables, I love it. That is the case for Juju Eats. 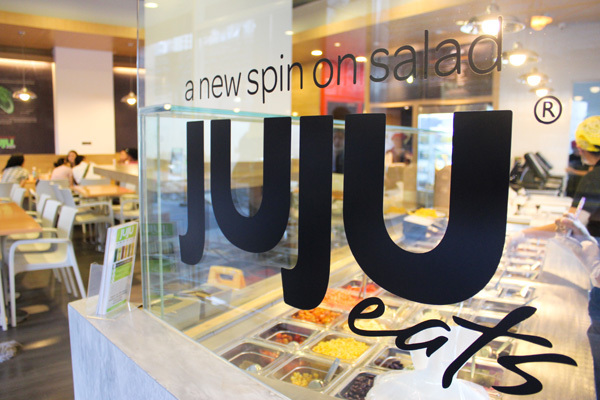 Juju Eats have pre-made combinations that are available in salad or wrap form. 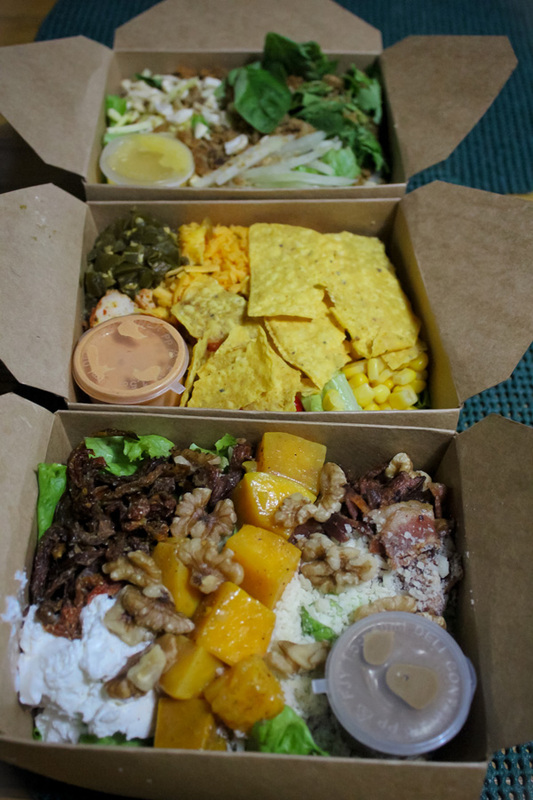 Salads are available in 2 portions - half and regular. 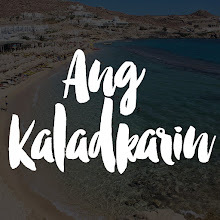 When I ordered the half salad, nabitin ako. The next time I went for the regular sized salad and couldn't finish it - it was too much! The wrap on the other hand was perfect for me. 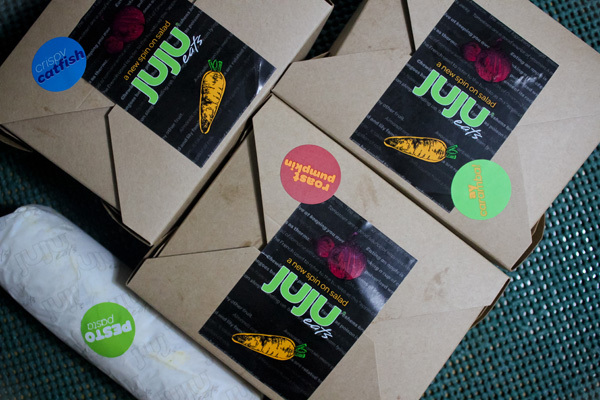 When I hit Juju with a friend, we usually order a regular salad and wrap and that's good for us. From the very first time I had a forkful of one of their salads, I've been smitten. What makes Juju so enamoring? The taste! It is possible for vegetables to taste immaculate. I love how each bowl you order is healthy and absolutely scrumptious. 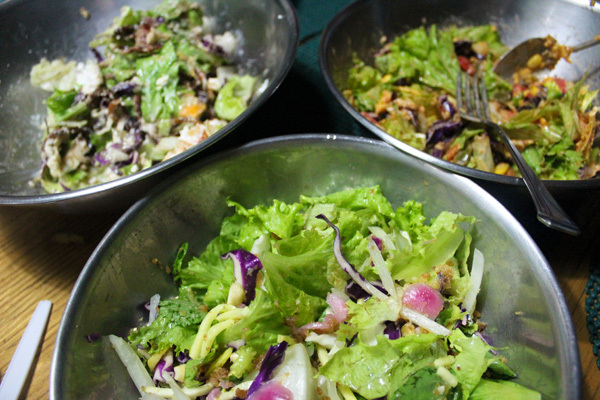 Each pre-made salad has several components which perfectly meld together creating a bowl exploding with different flavors and textures. It’s like a going on a journey because each element stands out but also marries well with the others. 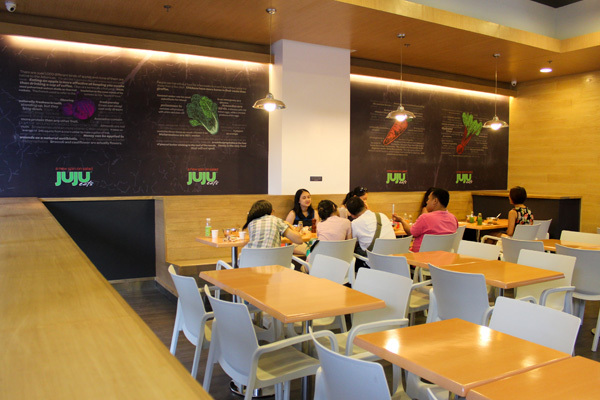 You can also make your own salad with the different ingredients Juju Eats has available. I tried making my own salad once it was sad. It lacked the zest and deliciousness that I get from the pre-made bowls. Before Juju Eats was born, the company first dabbled with drinks and created Juju Cleanse. These drinks are also available in each Juju Eats branch. 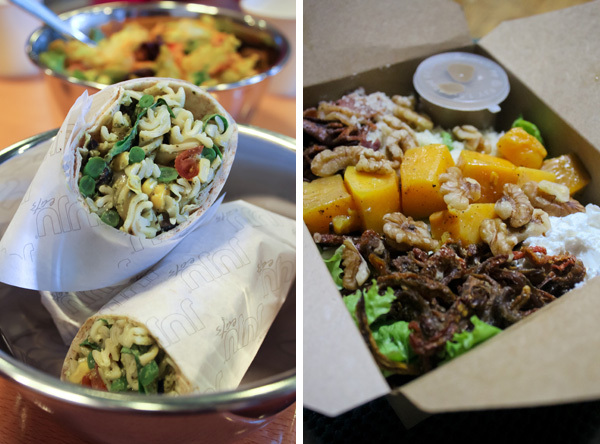 Prices may run a bit high but you pay for healthy food, convenience and real good salads! Want to get your hands on a bowl of Juju Eats? 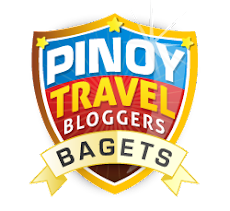 Visit any of their locations here. Available in Eastwood, Makati, The Podium and Rockwell Business Center Pasig.